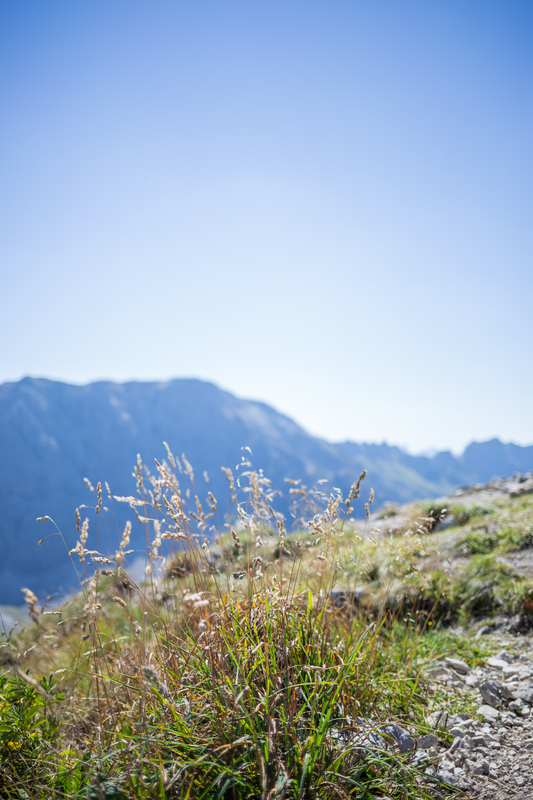 In 2013, I never made it up to the summit of Rubihorn, which was my first exposure to a hike beyond the gentler slopes of the Bavarian Pre-Alps. It wasn’t until my second attempt that I made it up, and even then, only barely. 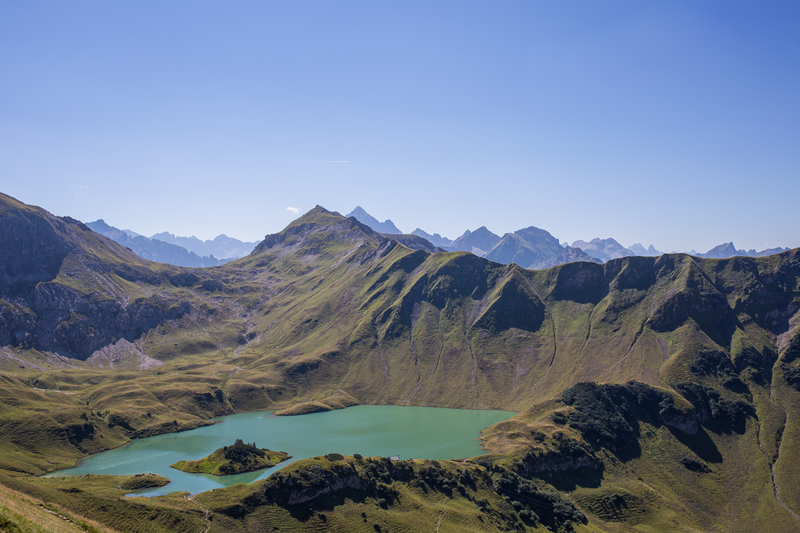 A couple weeks ago, a colleague suggested Rauhhorn via Schrecksee, and I decided to give it a shot. Getting to Schrecksee was fine: the weather was warm but the skies dry, and the trail was steep but I’ve started to get accustomed to that. 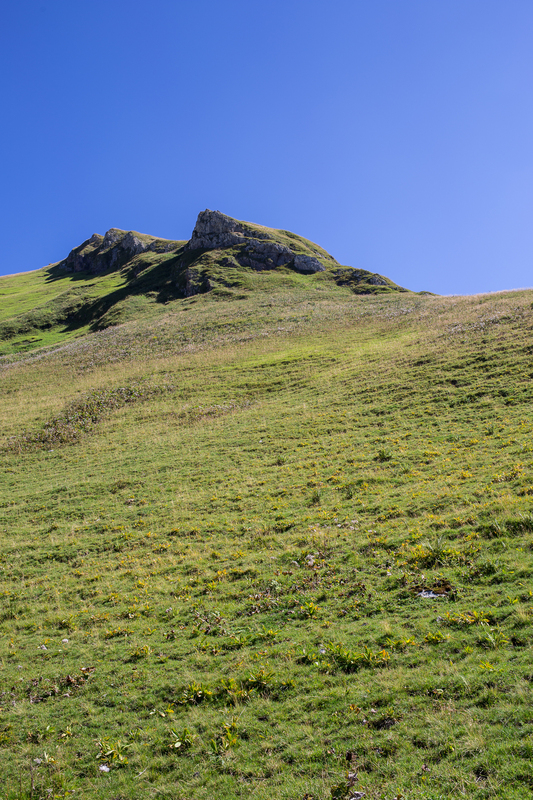 In addition, at long last I was starting to hike in the Allgäuer Alpen and not just skirting around the first layer of mountains surrounding Immenstadt. For about two hours, everything was blue, green, or brown. It was delightful to be out in the fresh alpine wilderness. And then came the reveal. An alpine lake above tree level at just under 6000 feet, it is a stunning glacial turquoise, its water translucent. It’s not hard to understand why the lake is ranked among the prettiest in the region: gorgeous water, mountainous backdrop, and a cool reward at the end of a properly warming hike. But this was not my goal for the day, and I continued north toward Rauhhorn. The mountain is classified as difficult because it also contains “a bit” of climbing at the summit. Nothing particularly technical or long, but unfamiliar to me: hikes I usually attempt can be long or steep but don’t [normally] require hands. After needing them while scuttling up a few meters of exposed section, I decided to play it safe and turn around. Strike two against mountains whose name begins with that ridiculous letter, though it was okay for me not to summit; getting to the top means little if one doesn’t make it down without the unintentional assistance of gravity. 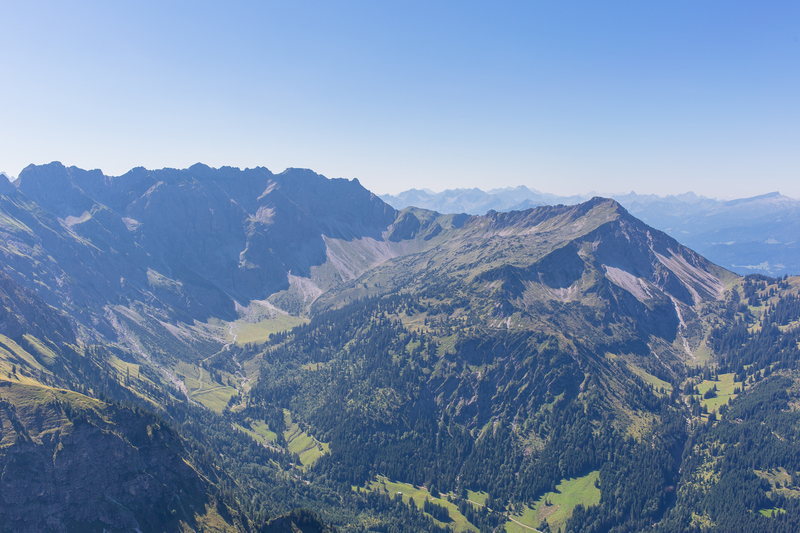 At the summit of practically every German mountain is a cross. 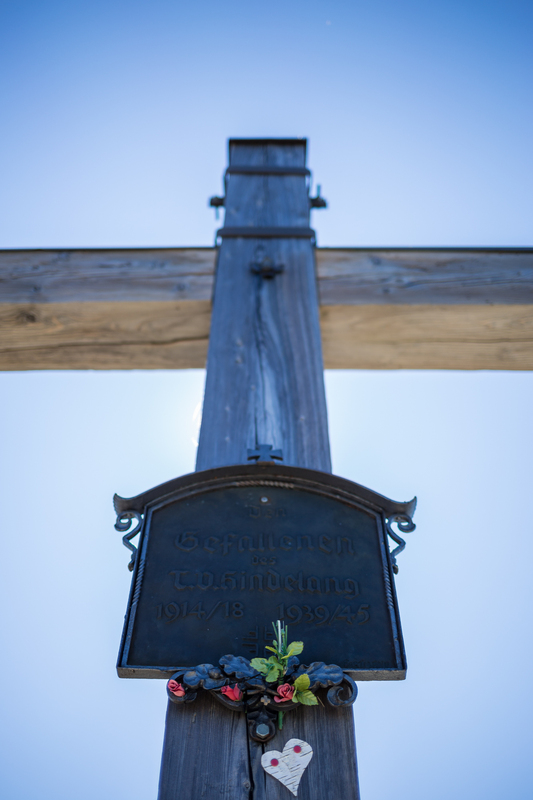 The Rotspitze is no different; its cross commemorates lives of soldiers from the Hindelang valley area lost during the two World Wars. At the end of the Retterschwangertal, southwest of Rotspitze and visible in the first photo of this post, is Entschenkopf, itself boasting a 2,000 m summit. Nearly collinear with Entschenkopf and Rotspitze? Yup, you may have guessed it: Rubihorn, though blocked by the higher summit of its nearby neighbor. The fascination with the letter is of course tongue-in-cheek; I’m merely picking on a letter because it’s a convenient scapegoat for a blog title and topic. I’ve written previously that the mountains here are more challenging than what I’m used to from the Pacific Northwest or Appalachians; Rotspitze was no different but it was a nice change to get to the summit without much difficulty and on the first attempt. Clear skies and views stretching across the breadth of the Alps was a definite plus. Where Zermatt and the Bernese Oberland are solidly in the middle of the Alps, the Allgäu Alps (and not so far away, the Wetterstein range over Garmisch-Partenkirchen) are really the very northern edge of the Alps, so looking south on a clear day is a first lesson in Alps for Days. If the trip up the Rotspitze taught me anything, it’s that maybe there’s not so much to be afraid of no matter what the name of the mountain begins with. The rolled R in the language, however, remains elusive.